It’s been just a few short years since Mazda produced the Mark 1 MX-5 back in 1989 yet here we are in 2016 with the news that Mazda has produced the one-millionth MX-5. Mazda have shared with MotorMartin that this landmark car was built at Ujina Plant No.1 in Hiroshima on the 22nd April. 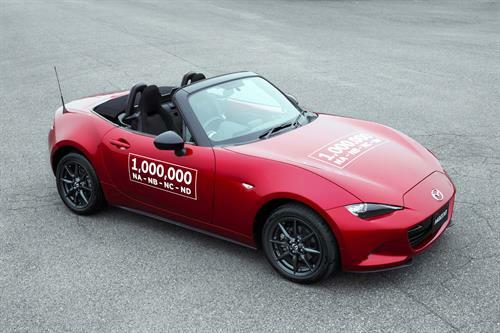 Incredibly, the one millionth MX-5 rolled down the line 27 years after Mazda began manufacturing this iconic roadster, which still holds the Guinness World Record for the best-selling two-seater sports car of all time. 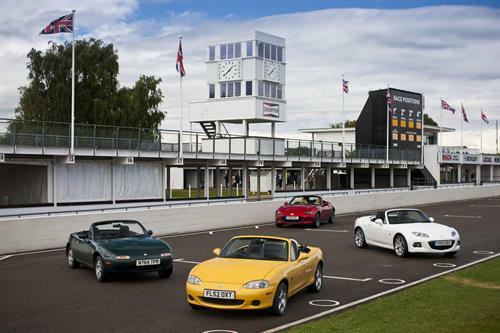 Mazda have confirmed to MotorMartin that to celebrate the history of the MX-5 and to thank fans and owners the world over, the one- millionth car will appear at fan events around the globe, including the 2016 Goodwood Festival of Speed. 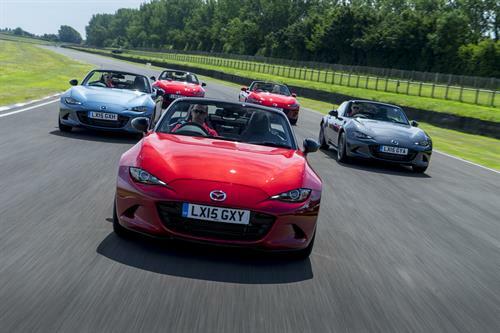 Joining the one-millionth MX-5 in Sussex this summer will be the Mazda MX-5 Speedster and Spyder concept cars. Having wowed sports car fans at the 2015 SEMA Tuning Show in Las Vegas, the Goodwood Festival of Speed will be the first time these unique MX-5 based concepts will be seen outside of North America. MotorMartin has already highlighted many of the reasons to travel along to The Goodwood Festival of Speed https://motormartin.com/2016/04/18/news-full-throttle-the-endless-pursuit-of-power/ and Mazda have just provided us with another. Cheers. Accentuating the MX-5’s lightweight fun-to-drive ethos, the Speedster and Spyder take this doctrine even further with their focus on open air driving and minimalist design. Inspired by vintage roadsters these design concepts each offer are a unique take on the award-winning all-new Mazda MX-5. Pared back to the bare essentials, the Speedster has a wind deflector in place of a windscreen, and with carbon fibre doors and seats, tips the scales at just 943kg. With custom 16-inch RAYS alloy wheels and 30mm lower suspension, this racy MX-5 concept will be taking to the famous Goodwood hill in the First Glance run. Featuring a clever bikini top roof, stunning Mercury Silver paint and a full-grain leather interior, the Spyder emphasises the joy and style of open-air motoring and will be on show for MX-5 fans at Goodwood to enjoy. Wow. 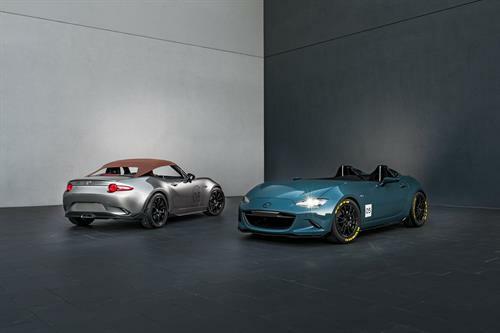 Even better, in addition to seeing this trio of special MX-5s, attendees at the Moving Motor Show will be able to experience the World Car of the Year winning all-new Mazda MX-5 on the legendary Goodwood hillclimb on Thursday 23rd June. And you can’t say fairer than that. MotorMartin raises a glass to Mazda and their stunning MX-5, here’s to the next twenty five years! Previous Previous post: Mitsubishi Outlander PHEV: Are Friends Electric?